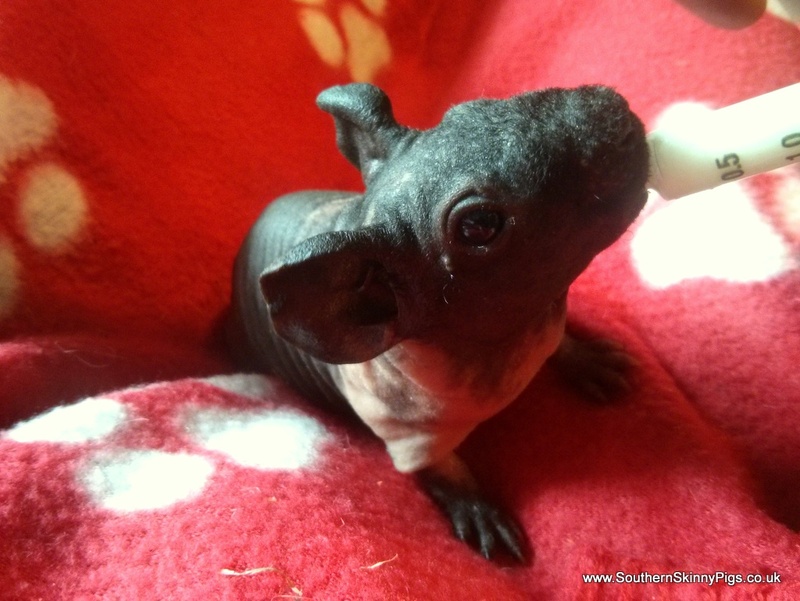 I have put together some hopefully helpful skinny pig care information, if there's anything I've missed or if you have any questions after reading please let me know! Skinny pigs should be fed on a diet of unlimited hay, unlimited pellet food and about half a mug's worth of mixed veg per day. I highly recommend Timothy hay, from experience this is far greener and fresher than most other types of hay. Freeze-dried grass/Readigrass is also fantastic and goes down a treat but is not an alternative to hay or fresh veg. For pellet food I have always been impressed with Burgess Excel Guinea Pig Food which is a complete feed that contains all the necessary nutrients including vitamin C. I would advise avoiding muesli style foods as with these encourage selective feeding which can lead to nutritional deficiencies. Good options for veg include, romaine and little gem lettuce, carrots, grass, dandelions, parsley, red and yellow bell peppers, wheatgrass and many more. A high vitamin C food such as parsley or bell peppers should be included every day as skinny pigs (like normal guinea pigs) cannot synthesis their own vitamin C.
There are a range of bedding options for skinny pigs - these include: wood shavings, Carefresh, Vetbed, fleece, shredded paper, hay, straw and others. I would recommend using a layer newspaper (for easy cleaning) covered with an inch or two thick layer of Carefresh. Wood shavings are a popular option but without adequate ventilation can cause respiratory issues due to dust. Vetbed is a very popular choice and suits skinny pigs well but requires more frequent cleaning than the disposable alternatives. It is important that, whatever bedding you decide to use, to provide your skinny pigs with somewhere to snuggle into (this could be a snuggle sack or area of fluffed up straw) and also a constant supply of Timothy hay to eat. 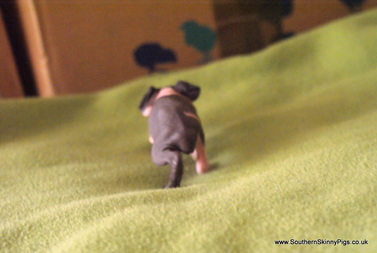 The more you handle your skinny pigs the friendlier and more confident they will become. When you first get them home they will most likely hide for a couple of days as everything will be new to them, during this period handling should be minimised and veg such as cucumber should be placed in their hiding place so they can obtain moisture without having to venture into the open to find their water bottle or bowl. After the initial few days their confidence should rapidly build, at this point the more handling you can do the better - I always advise frequent short handling sessions rather than less frequent longer ones, partly because safely picking them up and putting them down helps build trust but also because they are likely to become stressed if held for extended periods of time by someone who they are unfamiliar with. It is extremely important that skinny pigs are kept warm at all times, a room temperature of 20 degrees centigrade is about right. Microwavable heat pads which stay warm for 12 hours with fleece covers are very popular and are a great way of keeping your skinny pigs warm particularly if your heating dips below 20 degrees centigrade at night. I would not recommend using heat mats or lamps as skinny pigs have quite delicate skin which can potentially get burned by these. Your skinny pigs' nails will need clipping every couple of months, I find the lever type much easier to use than the scissor type. Little and regular is best when clipping nails as this reduces the chance of hitting the quick and keeps their nails at a more comfortable length. 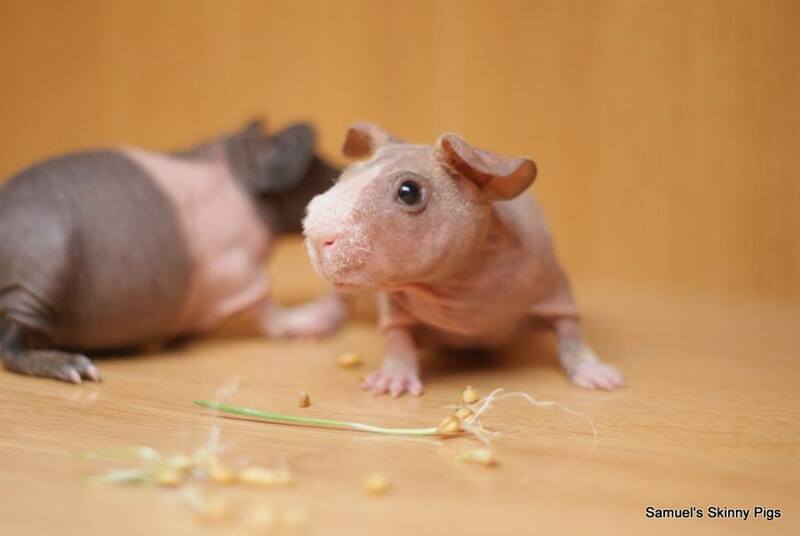 A healthy skinny pig on a good diet should maintain a good skin condition without any products being needed. If you find their does become dry almond oil and coconut oil work well as natural moisturisers. I would not recommend using e45 cream or other artificial moisturisers as these can cause issues if licked off. 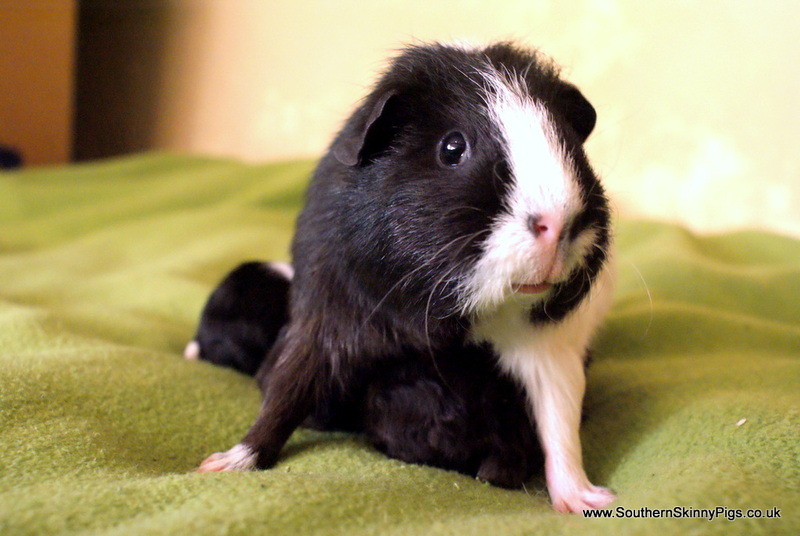 Bathing your skinny pigs can help alleviate problems caused by oily skin/clogged pores etc. 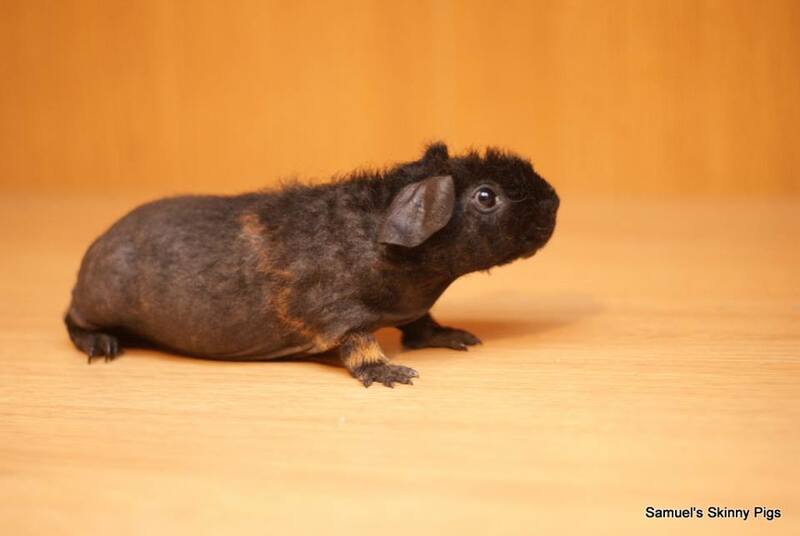 Small pet shampoos are available and are generally quite good, it is important to keep your skinny pigs' eyes, nose and ears dry when bathing them and to make sure the water is not too hot or too cold. 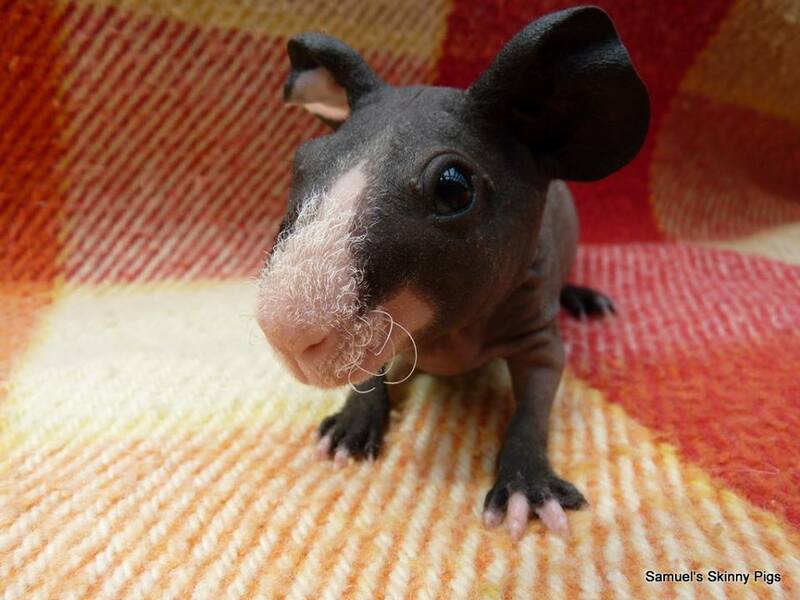 You should dry your skinny pigs off straight away after bathing to prevent them getting cold.